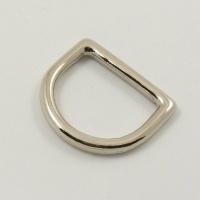 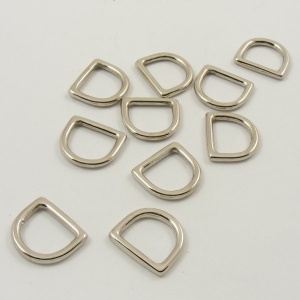 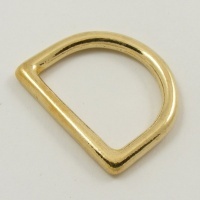 This is a 3/4" (20mm) cast brass D Ring, which has been plated with nickel to give a silver coloured finish. 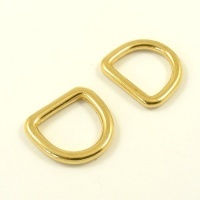 Cast metalwork is far stronger than wire formed, and it's well worth knowing the difference, especially where strength is important to safety, such as with dog collars and horse tack. 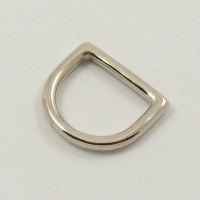 3/4" (20mm) is the internal measurement along the flat side of the D Ring. 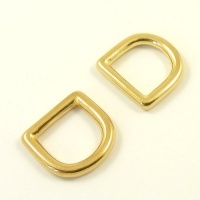 These Ds have an internal depth of 17.9mm, from the straight bar to the centre of the curve.